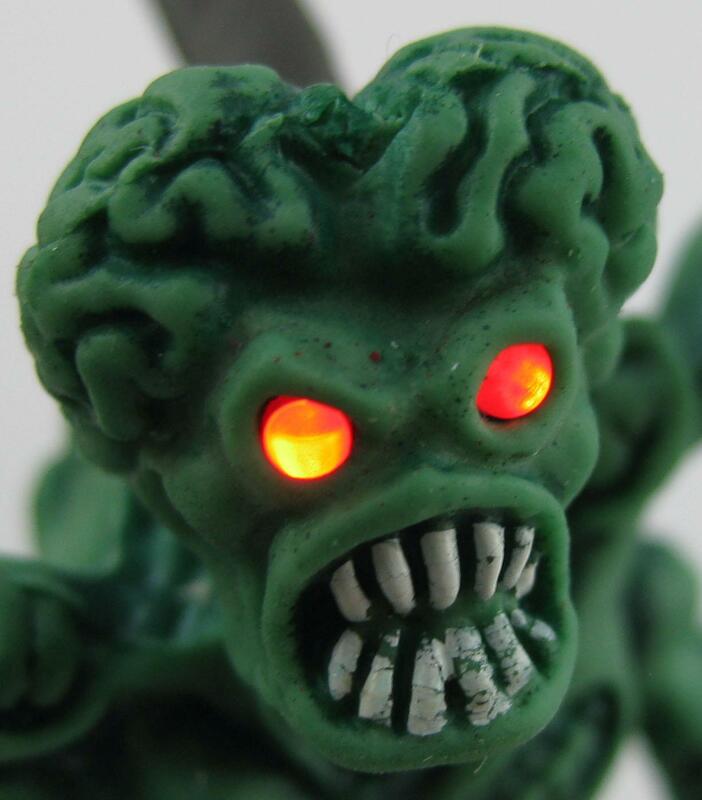 I have this mod in mind for years and some other realised it befor me. 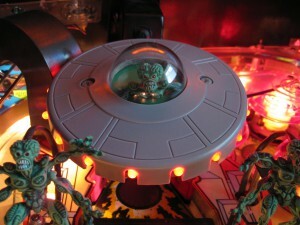 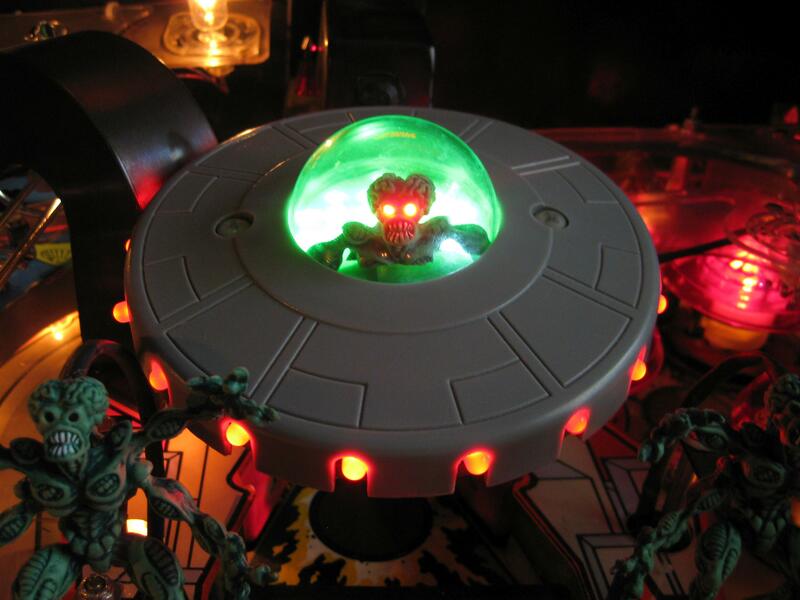 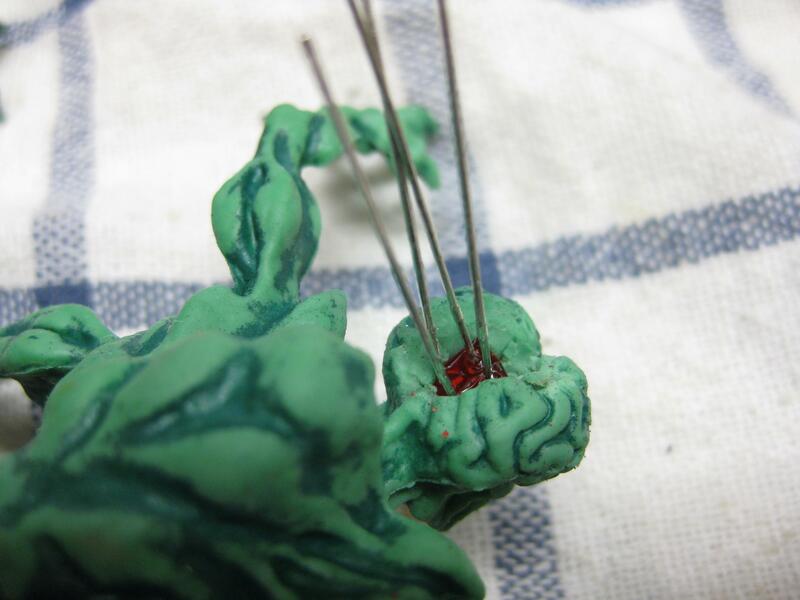 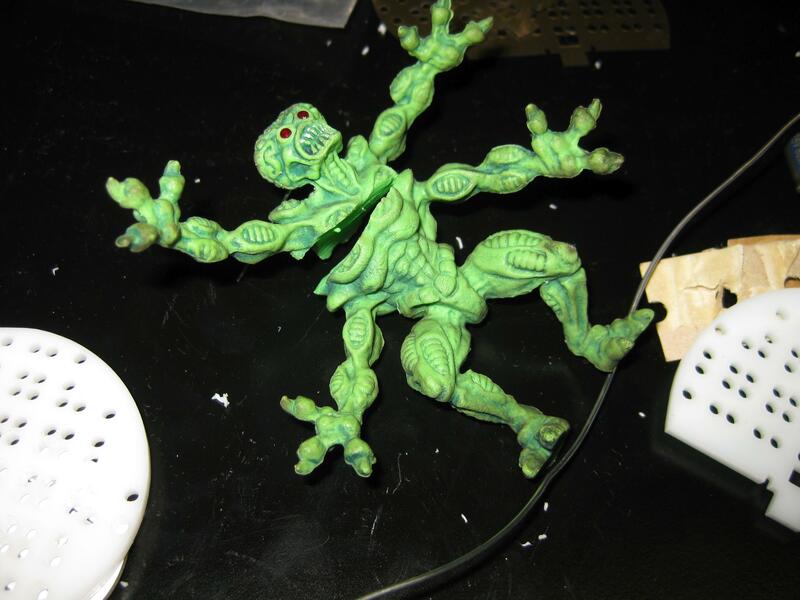 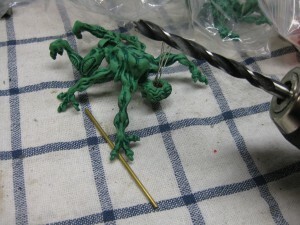 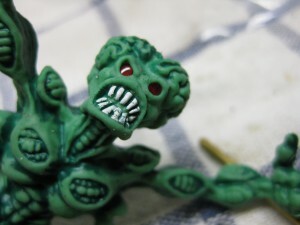 But I wanted to use the original Martians from the Pin. A lot of people done this before. 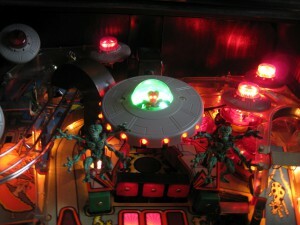 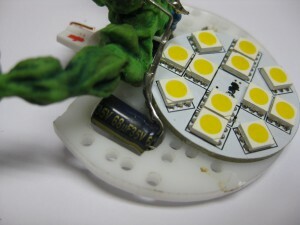 I used 2mm red leds fitts perfectly for the size of the martians. 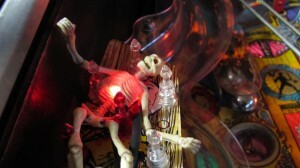 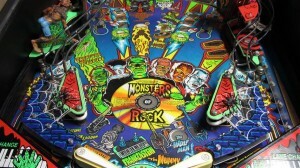 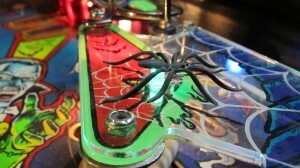 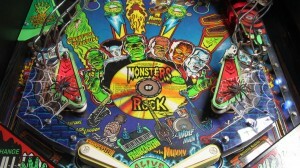 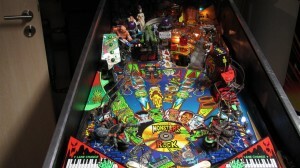 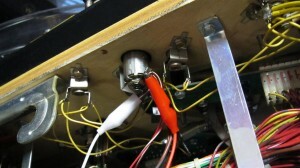 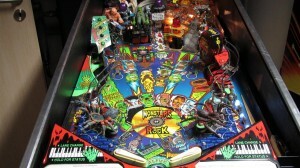 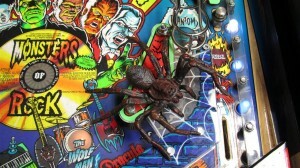 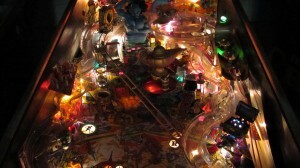 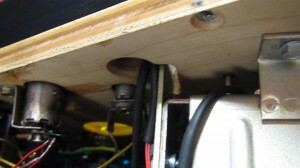 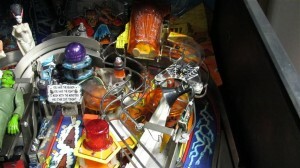 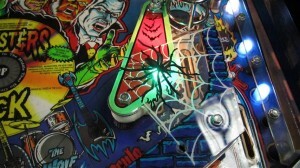 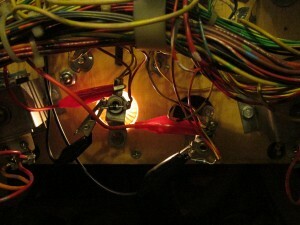 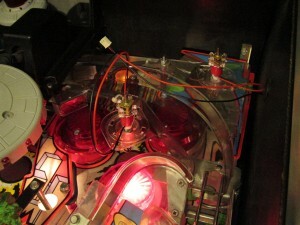 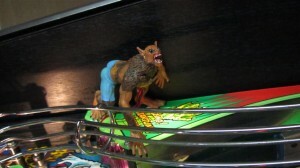 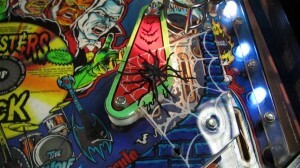 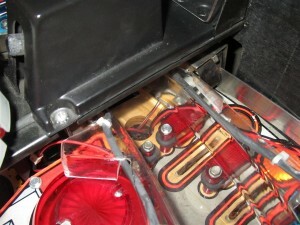 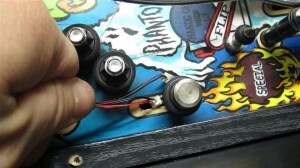 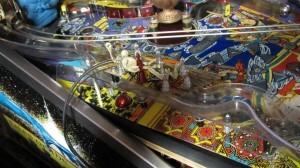 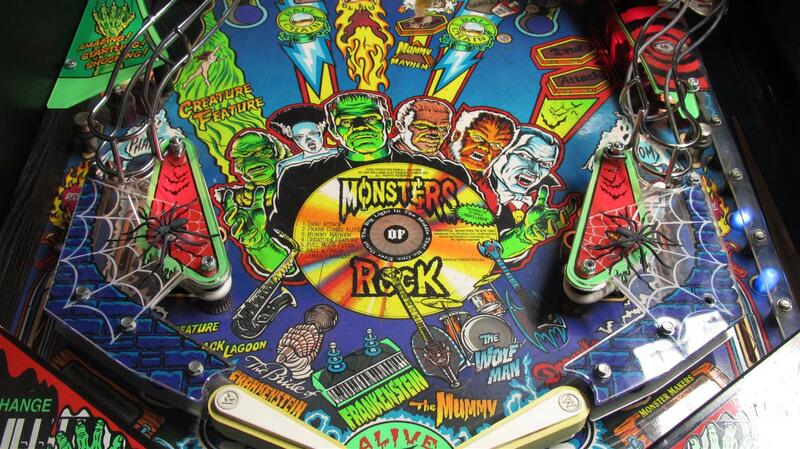 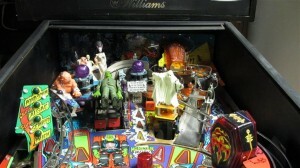 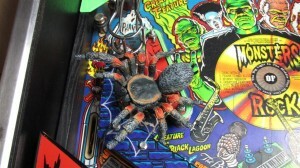 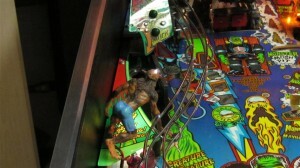 Hi here you can see my real Spider mod for MB Pinball. 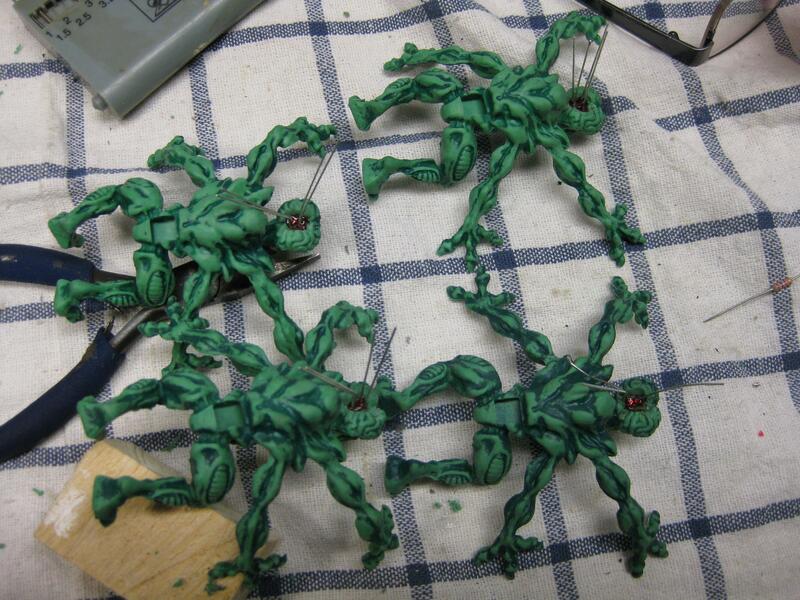 I used some plastic spiders and put them to a plastic. 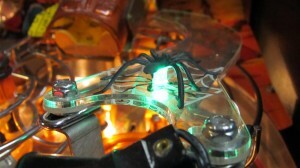 Under the spider I put a green 5 mm Led to make it more effectfull. 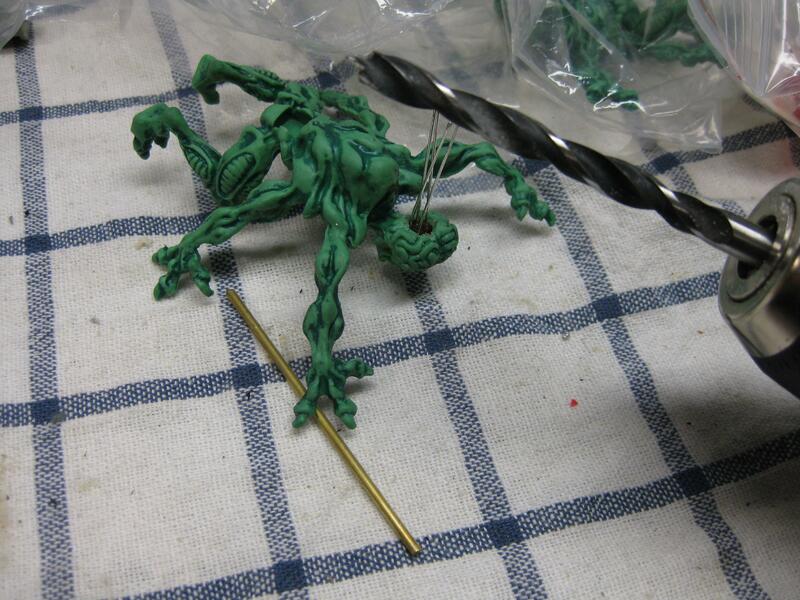 After a long time I had some time to some more work at the Treasure Chest Mod for Totan. 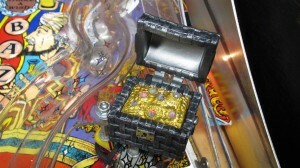 I used some transparent crystals on the surface of the treasure and 3 auto RGB-Leds inside. After putting the big spiders on the slingshots. 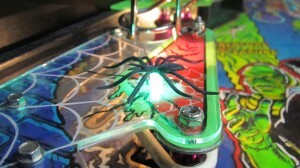 I tried some smaller spiders like this one. 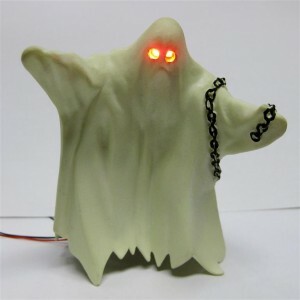 I found a ghost and have done a led mod. 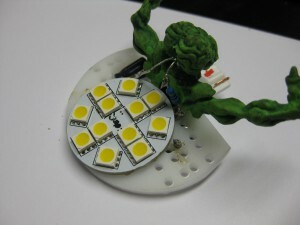 This time I tried to hide the leds because a ghost don’t have eyes. So I have to paint the insite of the eyes black (it looks more scary) and put the LEDs far insite the eyes. 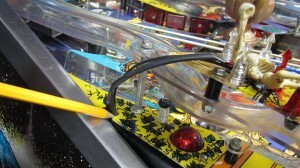 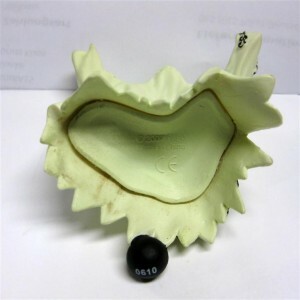 I am not sure in which Pin it could fit. 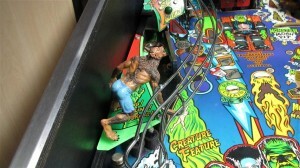 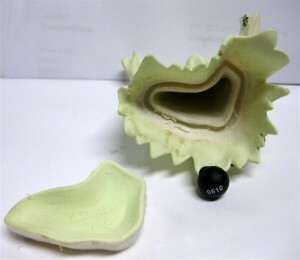 I am thinking about Scared Stiff. 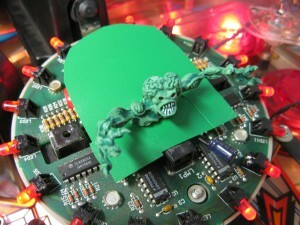 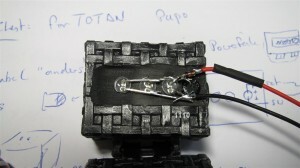 Thanks to Axel of flippermuseum.eu it was possible to test my motors in an real AfM. 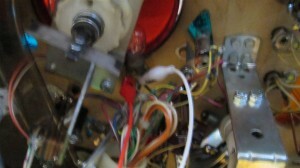 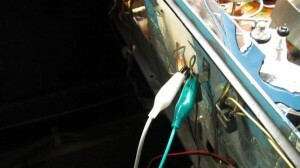 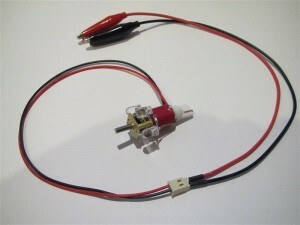 b) two wires for connecting the motor to a insert lamp.